i. The Defence Acquisition Council (DAC) approved the capital acquisition proposals of over 3,687 crore rupees. The decision was taken in the meeting council, chaired by Defence Minister Nirmala Sitharaman in New Delhi. ii. In a boost to indigenisation and in the realisation of India’s growing technological prowess, the DAC approved procurement of DRDO’s designed and developed NAG Missile System at the cost of 524 crore rupees. The DAC also approved procurement of thirteen 127 mm calibre guns for the Navy. · Admiral Sunil Lanba is the present chief of Naval Staff of Indian Navy. · Air Chief Marshal Birender Singh Dhanoa is the present chief of Air staff of Indian Airforce. i. Manipur's Shirui Lily Festival 2018 was concluded at Ukhrul district. The festival was sponsored by the department of tourism, Manipur to spread awareness about conservation of the endangered Shirui Lily. ii. The festival was also supported by NEC and aims to promote afforestation and sustainable tourism efforts in the state. · Manipur CM- Nongthombam Biren Singh, Governor- Dr. Najma A. Heptulla. i. The National Highways Authority of India (NHAI) entered into a pact with Macquarie for road projects under the highway monetisation drive. ii. The Agreement has been signed with Macquarie for the first bundle\of highway projects (USD 1.5 billion one of the highest FDI in highways). · Nitin Jairam Gadkari is the Minister of Road Transport and Highways. i.Dalmia Bharat Limited has signed an MoU with the Tourism Ministry to take up Red Fort (in Delhi) and Gandikota Fort (Andhra Pradesh) under the ‘Adopt a Heritage’ project. ii. Becoming the first corporate to be part of the initiative, Dalmia Bharat will look after the operations and the maintenance of these heritage sites for the next five years. · Puneet Dalmia is the Managing Director of Dalmia Bharat Group. · K J Alphons is the Minister of State for Tourism (I/C). i. The leaders of North and South Korea agreed to pursue a permanent peace and the complete denuclearization of the divided peninsula, as they embraced after a historic summit laden with symbolism. ii. Kim Jong-un, the leader of North Korea and Moon Jae-in, the leader of South Korea also agreed to end hostile activities between the two nations, change the demilitarised zone (DMZ) that divides the country into a “peace zone” by ceasing propaganda broadcasts. They also agreed to joint participation in sporting events, including Asian Games 2018.
i. UN Secretary-General Antonio Guterres has appointed Christine Schraner Burgener of Switzerland as his new special envoy on Myanmar. ii. Until her appointment, Burgener was the Ambassador of Switzerland to Germany since 2015. Peru, Kuwait and the United Kingdom will co-lead the visit to Bangladesh and Myanmar. · Myanmar State Counsellor- Aung San Suu Kyi, Capital- Naypyidaw, President- Win Myint. 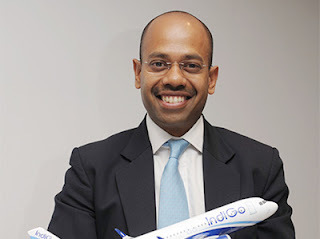 i. Aditya Ghosh resigned as the President and whole-time director of IndiGo and will leave the company by 31 July 2018.
ii. While Interglobe Chairman Rahul Bhatia has been appointed as the interim CEO of the company, Greg Taylor will be appointed as president and CEO of the company. i. The Haryana government has appointed international shooter Gauri Sheoran the brand ambassador for its two health-related programmes. The decision was announced by Chief Minister Manohar Lal Khattar at the launch of the measles-rubella (MR) vaccination campaign. ii. Under the campaign, about 80 lakh children aged between nine months and 15 would be vaccinated. The chief minister also flagged off 11 medical mobile units for the campaign.